We think you'll love the New Blauer 6" Boots, available in tan or black, that feature the awesome BOA lacing system that you have to see to believe. 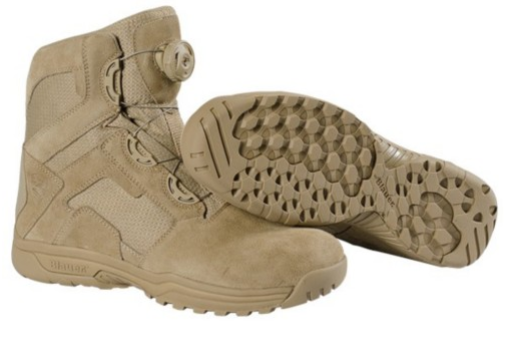 These boots are built for warm weather and tactical applications--they're breathable and lightweight, weighing in at just 18 ounces. These boots are made for speed and mobility, yet has amazing support and durability in the most unknown or rugged terrains you could be working in. The mixed suede and mesh material is backed by a premium perforated foam construction, providing toughness with extreme breathability. The integration of the ESS shank gives you stabilization that's reliable and will keep you safe on the scene. The midsole is packed with a compression-molded EVA that provides a long-lasting shock absorption and rebound. While the boot's hybrid traction outsole is oil and slip resistant, providing an even surer grip on and off the pavement. If you think comfort already can't be beat, there's more! For even more added comfort and protection the Clash boot features a rubber patch inside for heel protection and ankle stability. There's even a notched collar back for calf-comfort. 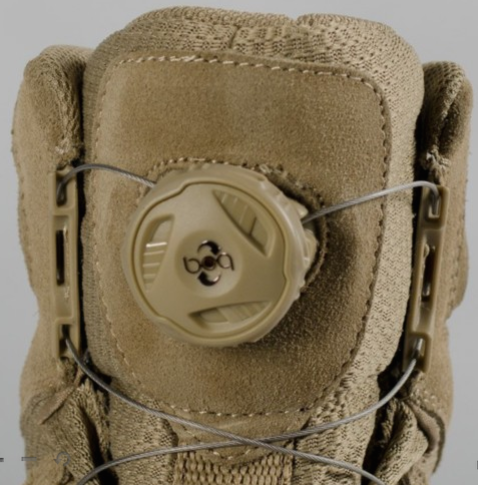 Now, onto the coolest part of this boot...the BOA lacing system. This is the quickest in and out design, engineered for comfort and performance. No normal laces here, it's braided stainless steel cable allows you to don and doff the boot in seconds. It maintains an even laced fit for added support and comfort! No zippers equals no breaking and no fuss! Get your lightweight and comfortable Clash boots in tan or black on our website, today. I think I have finally found a solution to comfortable footwear while in and on the water. I've said goodbye to flimsy flip flops and so long to cheaply made, big brand water shoes, and hello to Fila Skele-Toes.I find this website for Slip Resistant Work Shoes for Women you can visit this site.